Stories give life and substance to scientific methods and provide an inside look at scientists in action. Case studies deepen scientific understanding, sharpen critical-thinking skills, and help students see how science relates to their lives. In Science Stories, Clyde Freeman Herreid, Nancy Schiller, and Ky Herreid have organized case studies into categories such as historical cases, science and the media, and ethics and the scientific process. Each case study comprises a story, classroom discussion questions, teaching notes and background information, objectives, and common misconceptions about the topic, as well as helpful references. 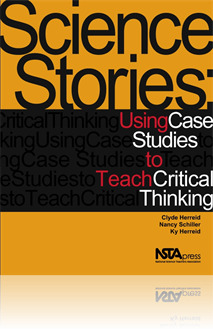 College-level educators and high school teachers will find that this compilation of case studies will allow students to make connections between the classroom and everyday life. Science Stories is sure to make science engaging and enlightening for both students and teachers.